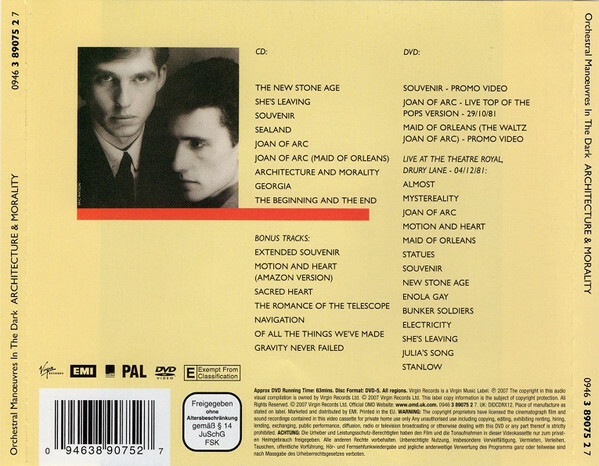 While the Onetwo album had been gestating since the early 2000s, to be released in 2007, there had already been a seismic occurrence with the tentative reformation of OMD in 2005 for the purposes of a German TV music program, Chartshow 1982, which looked back at the to selling German hits of 25 years earlier, in 1982. As it happens, the top selling single in Germany that year was “Maid Of Orleans” by OMD, so the program made overtures to the members to please appear on the show, since they were the top of the pop pyramid that year. Andy McCluskey put it to the former members this way; they would get travel and top flight accommodations to Germany to be fêted and perform a song or two at the conclusion of the program. Did they want to do it? Given that the other members had left the band behind in ’88-’89, this was not a given. But they agreed and the experience was pleasing enough that they discussed reforming for a tour. At the time Drummer Malcolm Holmes was recovering from a heart attack, so the decision was made to recruit OMD’s second drummer, Stuart Kershaw from the ’91-’96 era for the German TV show. It’s interesting. In 2004, a year before any of this activity, Andy McCluskey put it to the fans on the OMD Forum whether he should take the bait for the “Here + Now” nostalgia shows that had come sniffing around his door by that time. He seemed clearly ambivalent to the idea of it, but was willing to entertain his fans’ thoughts and weight them against his own concerns. As it happened, the nostalgia treadmill was not acted upon. It’s possible that McCluskey looked at the largely uncritical gushing from the fans enough to put aside the notion of a “zombie OMD” on a package tour and to set his sights a little higher soon afterward. I was not a member of the OMD forum at the time but had I been one, I would have said not to do it. It would have been Andy + Paul plus the usual H+N backing band for a headlining 40 minute set. Other fans who had never seen OMD previously may have thought otherwise. I have never seen one of these package tours, but was possibly tempted in 2009 when ABC and Heaven 17 were scheduled to play in Charlotte. When H17 pulled out, that ended the temptation [tell me you saw that coming] for me. On January 1, 2006, Andy McCluskey announced on the OMD website that the full original lineup were going to reunite for a tour where “architecture + Morality” would be played in full, in addition to a full program of OMD songs from other albums. Malcolm Holmes had recuperated sufficiently so that he could participate for the tour. They booked a summer 2007 UK tour of about six dates in addition to several more shows in their stronghold of Germany as well as a few european gigs. McCluskey was surprised when the demand was strong enough to sell many of the shows [particularly in the UK] out. 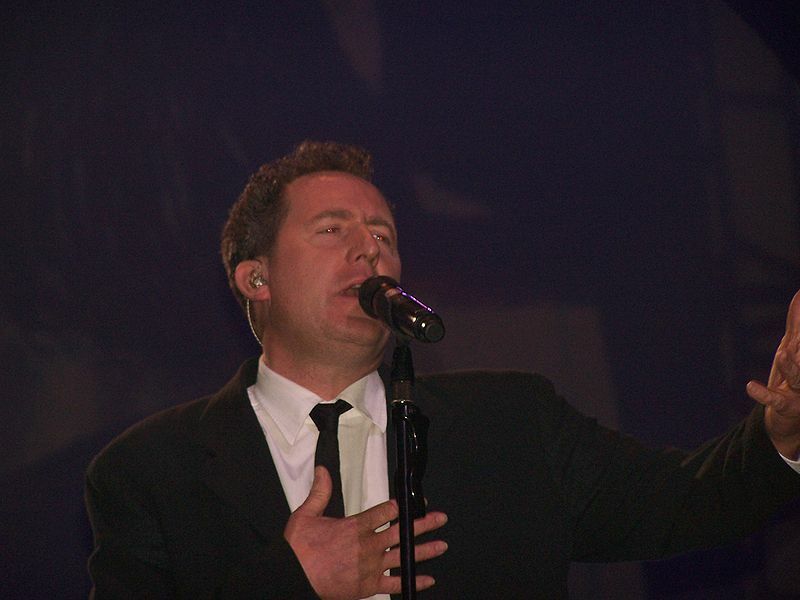 More shows were added on the European summer festival circuit of 2007 as OMD were back in business. Keep in mind that the Onetwo album discussed in the last posts were also being finished during this time and would not be released until 2007 as well following all of this renewed OMD tour activity. But first, OMD in the two-man configuration of Andy + Paul, got their feet wet in the form of the Night of the Proms, classical/pops tour of Germany in December of 2006. For those who haven’t heard of this, it was a full orchestra with various pop stars singing a short program of their hits with orchestral accompaniment. Many of our favorites like ABC, Simple Minds, and OMD have done this but there was also a strong current of MOR pop as you could see from the previous link. In any case, the Orchestral Orchestral Manœuvres In The Dark got to do something different and played to a lot of happy German fans. And probably more than a few others who made the trip to see them. In May of 2007, we saw the DLX RM of “Architecture + Morality” join the previously released DLX RMs of “Orchestral Manœuvres In The Dark” and “Organisation” from 2003 just in time for their merch table. The first two had been remastered and appended with the correct extras on a single disc, but since “Architecture + Morality” was their magnum opus, it was also paired with a DVD of their 1982 “Live At Theatre Drury Lane” home video and selected videos. For the next two months, the band were playing throughout Europe and the UK in a series of shows that few had anticipated following the low key demise of OMD eleven years earlier. It’s entirely natural that one of these would have been filmed and recorded for release. This entry was posted in Core Collection, Rock GPA and tagged 2005, 2006, 2007, OMD, reformed bands. Bookmark the permalink. This was really confusing time to be an OMD fan.